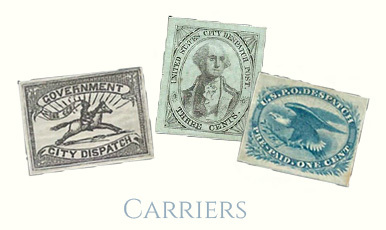 The Carriers & Locals Society was established to further the understanding of the history, stamps, markings and labels of express companies, independent letter mail companies, letter carriers and local posts. Express Companies, Independent Letter Mail Companies and Local Posts were the private companies that transmitted mail in direct competition with the government post office, primarily in the 1840’s and 1850’s. Carriers were the individuals who collected and delivered mail in large cities. Until 1863, carriers were not salaried post office employees, but instead were compensated by the 1¢ or 2¢ fees they received for each letter. The 1830’s and 1840’s were exciting times in the United States. Methods of transportation that had served private citizens and businesses for hundreds of years were replaced by faster and more efficient steamships and railroads. The Post Office Department had difficulty adapting to the new paradigm. Enterprising private individuals and companies quickly recognized there were commercial opportunities. In 1839, William F. Harnden began offering an express service between Boston and New York carrying cash, legal documents, packages and letters on railroads and steamboats. Lysander Spooner, an outspoken activist for cheap postage, is credited with creating the independent letter mail business in 1843 when he advertised that the American Letter Mail Company in Philadelphia, would carry letter mail for individuals and businesses to other cities for one-third the fees charged by the Post Office Department. 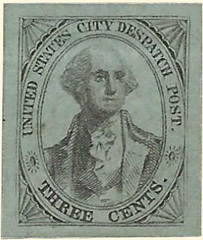 In 1839 Barnabas Bates established the first local post in New York City — the New York Penny Post — which carried letters, newspapers and other printed matter within the city’s limits. 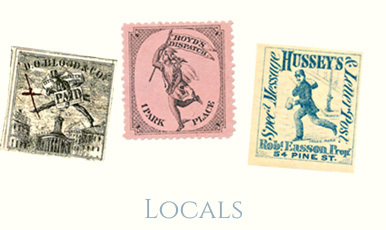 Local posts were the first businesses in the United States to offer stamps that enabled customers to prepay collection and delivery fees. Letter delivery and collection service from carriers employed by post offices in large cities had been available since the 17th century. However, competition from local posts in the 1840’s forced them to offer stamps for prepayment of fees and improve their services. The following summaries provide additional information on these three types of private businesses that transported mail and other materials in direct competition with the official mail operations of the U.S. government, as well as letter carrier in cities. In 1839 William F. Harnden is credited with pioneering the reliable conveyance of goods, cash and other valuables for a fee. The express industry quickly became popular and took firm root between the major metropolitan areas of the northeast. Transportation at this time was modernizing as railroads supplanted many stage canal and steamship routes. Express companies took full advantage of this opportunity to grow their own industry. In addition, smaller regional express companies, often in partnership with the larger express companies, made express service available to more of the citizenry. 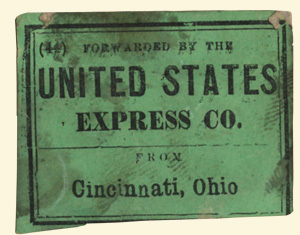 Although some express companies carried letters both before and during the brief Independent Mails Period (1843 through June 30, 1845) the majority carried goods not covered by the Post Office Department’s letter-matter monopoly. After June 30, some did carry letter-matter, such as orders for goods or receipts, but avoided statutory fines by carrying the documents free of charge. Additionally court documents, deeds, wills, insurance policies, etc. were treated as “papers of value” and therefore legitimate express company business. Companies that we use daily, such as U.P.S. and FedEx, are indebted to Harnden, Alvin Adams, Henry Wells, William G. Fargo and others for the innovative businesses they created almost two-hundred years ago. 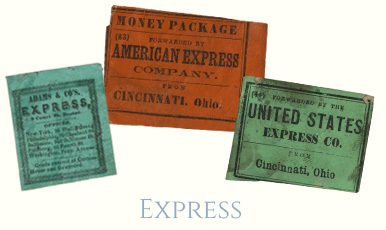 The early success of the express companies from 1839 to 1842 prompted a number of individials to establish private enterprises that directly competed with the post office by carrying private and business letter mail between large, northeast cities. The largest companies were American Letter Mail Company, established by activist Lysander Spooner, and Hale & Company, which had over one hundred offices. 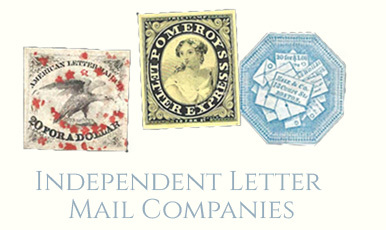 Independent letter mail companies carried private and commercial letter mail of the type that the government believed should only be the business of the Post Office Department. 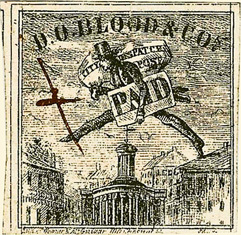 They operated under loopholes in the postal monopoly laws for only a short period of time — from 1843 until expressly prohibited by the Postal Act of 1845, effective 1 July 1845. The independent letter mail companies advertised in newspapers that they were the “peoples’” postal services. They were popular because they introduced a number of reforms that the federal government had ignored These included lower rates; more frequent collection and delivery services; prepayment with stamps; and quantity discounts for stamp purchases. A number of the companies also delivered mail to local addressees for an additional fee. Letter carriers were often called the “penny post” in the 18th and 19th centuries because they were allowed to charge one penny per letter for their services. 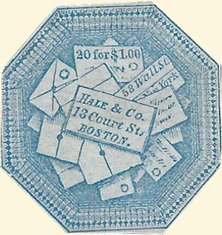 During the late 1840’s and 1850’s, carrier departments in a number of cities, issued adhesives for prepayment of carrier fees and adopted their own handstamps. From the Mails service involved delivery to homes and businesses of letters that arrived at the post office from another city or post office. City Mail service involved delivery of mail in his district of letters that a carrier collected from a letter box or received from a patron while he was making his rounds. Drop Letter Delivery service involved delivery by a carrier of a letter that was dropped off at the post office and did not originate in another city or post office. To the Mails service involved collection of mail from letter boxes and patrons for delivery to the post office and transmission to another city or post office. 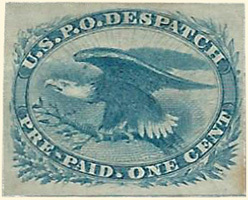 Until June 30, 1863, carriers were not salaried post office employees. They were paid 1¢ or 2¢ per letter by patrons. 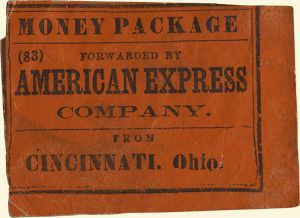 Effective July 1, 1863, the “fee paid” era ended when carriers became salaried post office employees, separate carrier fees were eliminated and patrons in cities with carrier service were not charged for carrier services. Local posts were private companies that collected and delivered letters up to five times a day in large cities in competition with the carrier departments of post offices. The charge for their services was 1¢ or 2¢ per letter depending on the time period. For the convenience of customers, a number of them placed collection boxes on lamp posts and with merchants throughout the cities. They also carried newspapers, circulars and other types of mail. Many local posts were “one-man” operations. However, some employed a number of letter carriers who were assigned districts within the cities. 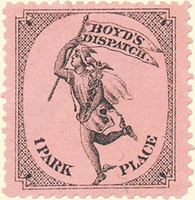 The largest and most successful local posts were Boyd’s City Dispatch and Hussey’s Post in New York City and D. O. Blood & Company in Philadelphia. In addition, local posts operated in Baltimore, Boston, Brooklyn, Buffalo, Chicago, St. Louis, San Francisco, Washington DC and Wilmington. Despite repeated efforts to shut them down, local posts competed with the Post Office Department for two decades. 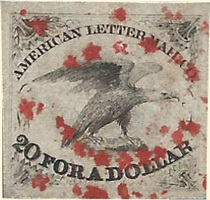 The Postal Act of 1861 put most remaining local posts out of business; and the Postal Act of 1863 eliminated official letter carrier fees, which made local posts no longer competitive. Boyd’s and Hussey’s continued to operate into the 1880’s but as commercial messenger services.